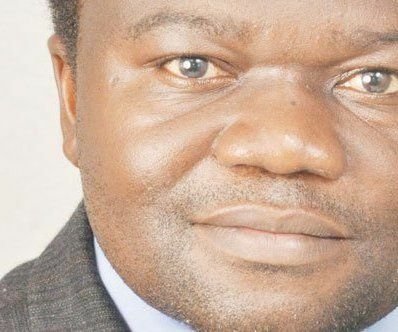 The Malawi Government through the Ministry of Health has invited all nurses, who were told to go back home after being employed for a week, to undergo interviews before they are re-employed. Previously, the National Organization of Nurses and Midwives (NONM) faulted government’s decision to withdraw employment for the 339 health workers. Now that government has issued letters of invitation, minister of health Peter Kumpalume says some procedures were not put into consideration when the graduating students were being given letters of employment. “Government withdrew the letters of employment because it was going through challenges and now no one is employed unless they undergo an interview,” said Kumpalume. He said the nurses have received letters of invitation meaning that they have to undergo interviews and only passing the council examination does not guarantee a nurse a job. koma manurse nyini zanu zimakoma tisaname mmm…. They said they withdrew the Nurses because they dont have money to pay them,Now the money is there and they want to interview someone who was already in the system SHAME ON YOU DPP,what are you trying to prove? Anyway make your father the IMF happy. Why to under go interviews. Are they not qualified nurses. Something very fishy here. Teachers need to be considered as well because they are equally important in this country.Manasiwo kuti akhaleko nchifukwa choti anaphunzitsidwa ku primary. PLEASE NURSES , YOU DID YOURS TRAINING IN MALAWI AND YOU PASSED YOUR COURSES THATS WHY YOU ARE QUALFIED NURSES , WHY GOING FOR INTERVIEWS AS IF YOUR DID YOUR TRAINING OUTSIDE MALAWI ? PLEASE DONT ACCEPT THESE HORSES TRICKS , THE WHOLE IDEA IS TO FOOL YOU NURSES , YOU HAVE YOUR ORGANISTION CALLED NURSES COUNCIL OF MALAWI AND IF YOU ARE REGISTERED WITH YOUR COUNCIL THE GOVERNMENT OF MALAWI UNNDER PETER SHOULD NOT TREAT YOU AS ZOMBIS. Something fishy here. Why undergo interviews??? These were all employed in the first place. DPP want to employ those that belong to lohmwe belt!! Or they want to justify the small number employed that they are the only ones that passed the so called “interview”. The best for these nurses was to boycott the interviews period. Very few will be employed. This is a very clever trick by the DPP led govt. Just want to cool down tampers.